Saudi Arabia, the United Arab Emirates (UAE), Bahrain and Egypt severed relations with the small Gulf Arab state Qatar on Monday accusing it of supporting terrorism. Qatar has denied the charges levelled at it. Wang Yi told Mohammad Javad Zarif that maintaining peace in Gulf is best for everyone. Beijing: China's foreign minister has told his Iranian counterpart that maintaining peace and stability in the Gulf is best for everyone, after several Arab states cut off ties with Qatar accusing it of supporting ISIS and Iran. Saudi Arabia, the United Arab Emirates (UAE), Bahrain and Egypt severed relations with the small Gulf Arab state on Monday. Qatar has denied the charges levelled at it. Meeting on the sidelines of a regional security summit in Kazakhstan, Chinese Foreign Minister Wang Yi told Iranian Foreign Minister Mohammad Javad Zarif that peace and stability in the Gulf accords with the common interests of the region and the international community. 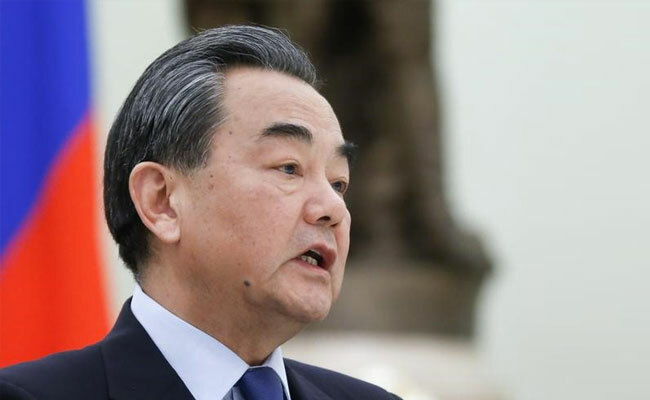 "China upholds that the relevant countries should appropriately resolve the disputes between them," the Chinese foreign ministry cited Wang as saying on Thursday. The brief statement gave no other details of their talks over what the Chinese foreign ministry described as "the present situation in the Gulf region". China has traditionally played little role in Middle East conflicts or diplomacy, despite its reliance on the region for oil. However, it has been trying to get more involved in efforts to end civil wars in both Syria and Yemen, casting itself as an honest broker without the historical baggage of the other permanent members of the UN Security Council. In March, China played host to the Saudi king and Israeli prime minister in quick succession. China has close ties with Iran too. The coordinated move against Qatar dramatically escalates a dispute over its support of the Muslim Brotherhood, the world's oldest Islamist movement, and adds accusations that Doha backs the agenda of regional arch-rival Iran. UN Chief Says Hate Speech On Internet "Spreads Like Wildfire"